Using visual elements to tell a story has always been the top priority of every graphic designer. Creating interesting and thought-provoking materials that serve a certain purpose has been the hallmark of design since its birth. From breathtaking posters that promote theater plays and movies, unique pieces of writing submitted by famous thesis writers to packaging and logo design that advertise a certain brand, designing new materials has never been easier than today. But what can graphic designers do in order to be even better at their jobs and not use any writing services when they are stuck with copywriting or something else? These are some of the most principle diagrams in graphic design that can make designing something new a whole lot easier. Getting into graphic design can be a bit overwhelming for someone who is just getting started. Like any other profession, design has a certain number of rules and principles that everyone uses on a day-to-day basis. As such, these elements are a must for anyone who wants to become a graphic designer and earn a living by doing it. Principles that involve proper use of lines, geometric elements, the golden ration and the rules of positioning elements so that they are readable and pleasant to the eye take time to learn. These rules are nothing new to the scene, and just like writing for money, they are a constant that you can learn bit by bit while doing something practical. Whitespace is the key element to any successful graphic design product. Like the name suggests, this element revolves around letting the canvas/material breathe in between placing objects and elements on the surface. Think of it as the space between two letters – it exists so that the two letters don’t overlap and create confusion. As such, whitespace requires a certain learning curve to be mastered. Professional graphic designers have no problem spotting issues with a piece of design if whitespace hasn’t been properly addressed to. Understanding the proper arrangement logic in placing visual elements in a coherent whole is the key in becoming a successful graphic designer. Typography is the art of creating and using letters in a manner that allows them to convey a message to the world. It’s one of the most beautiful and useful tools to have in an arsenal if you are a graphic designer. While typing out letters on a keyboard without getting any help in writing is simple enough, designing those letters into a whole is another matter entirely. The simple process when you have to edit your writing becomes something special together with these tools. Designers all over the world have worked hard to create a system that anyone can use for their writing and make their pieces more coherent and pleasing to the eye. These shortcuts and commands are created so that you can shape your Windows text in just a few short moments, meaning that it’s easier than ever before to create a pleasing reading document. Social media design is an essential part of both graphic design and web design. One issue that many graphic designers have when it comes to designing for web is the fact that rules keep changing. Sites such as Facebook and Twitter are notorious for constantly changing the size of their graphic elements, meaning that designers have to stay up to date in order to update and redesign anything they previously made. This is a hugely important and overlooked part of social media content design because companies and brands all over the world neglect the importance of social media in their marketing campaigns. Knowing these rules and abiding by them will give you a huge advantage in comparison to designers who think they know what’s best and ignore the latest trends in social media design. Web design and graphic design go hand-in-hand. Many designers have a hard time differentiating themselves among their colleagues because everyone ends up doing everything in the end. As such, knowing the basics of HTML even though you may not be a web designer by profession is an essential step in making sure you are relevant to the team. HTML is the simplest and most widely used web coding language, meaning that anyone can start using it in a matter of hours. 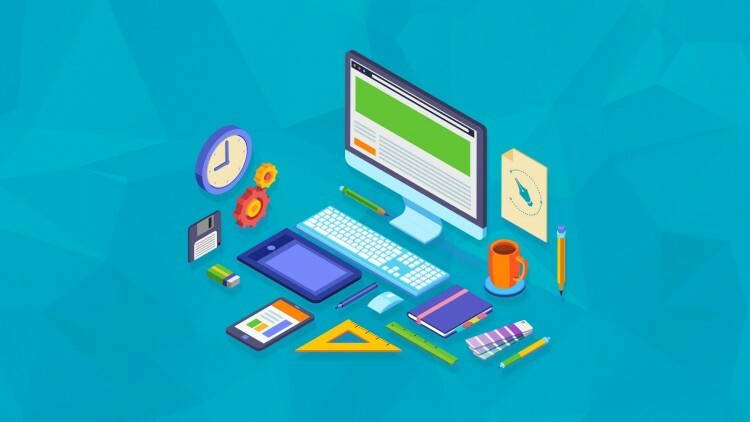 While it won’t give you the best writing solution if you need quick help with coding or shaping your online page, it will give you a huge upper hand if you start reading up on HTML on time. Learning the basic principles of graphic design might not make you a master of the profession in a single day, but it will get you that much closer to it. Knowing where to start when it comes to learning a new skill, especially one as complex as graphic design is an essential first step in becoming truly good at it. Take a look at these diagrams, cheat sheets and principles anytime you are stuck and don’t know how to proceed with your content creation.